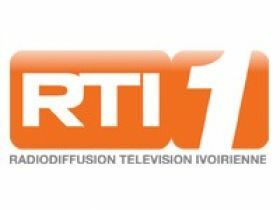 RTI La Premiere (Radio Télévision Ivoirienne) is the first Ivorian public mainstream television channel that broadcasts continuously from Abidjan available on satellite on KU and C band by the frequencies below, cable, Digital terrestrial, and via web IPTV. La Première offers a diversified program aimed at reaching a wide audience. This position assigns him the ambition to play in the fields of national and international information, creation, entertainment and event, a role of training in quality and innovation for the whole of the world. audiovisual sector. Like any general channel, RTI 1 offers information, sports, entertainment, magazines, series, and movies. The Ivorian TV shows Series as The Blacklist Person of Interest Scandal (TV series) The Wild. RTI 1 has 97.71% of its programs in French and 2.29% in local languages. Since RTI is a partner of Canal France International, some La Première programs come from the CFI program bank.